Thank you so so much for all your help, we just had the most perfect day and the boys looked absolutely gorgeous! We were so happy with all the suits (and so were the boys)! We got so many complements on them! Your service was amazing, we always felt welcome and so well looked after. You catered to our last minute changes without anyt fuss, we couldn’t fault you guys at all! It was just perfect. Thanks again and hopefully we will see you guys again soon. “Our experience with Just For Him and the staff there was very professional. The suit was exactly what we were after, and staff were friendly and helpful and we had a very good experience shopping at Just For Him. We felt that there was a good variety of suits on offer, and the one we selected was very reasonably priced. JFH was recommended to us from a friend, and we were so happy that we found you guys…. Thanks again for all your help, it was a pleasure working with you and we were very happy with the outcome”. Wedding venue: St Stephens Anglican Church, Newtown. Reception at Shipwrights on the Marina, Blakehurst. The suits that we arranged through Just For Him for myself and my four groomsmen were loved by everyone. Having not had much experience suit shopping before, working with Just For Him was both easy and enjoyable. Lisa and the team had a wealth of experience and knowledge which put us all at ease as we knew that our final product was going to look not just good but great. They made clothes shopping an experience none of us will ever forget, from discussing styling options over a beer to the final tips and tricks as we picked up our suits, we were able to laugh and smile with each other and the team which definitely turned a potentially stressful situation into one that was delightful. The packages that they offer were well thought through and incredibly reasonably priced. We loved that we could purchase the suits to wear again in the future, but hire and return the vests and pocket squares. We all had plenty of people on the day compliment us on how good the suits looked and how well they complemented what the girls were wearing. I was thoroughly impressed with the service and product that Just For Him provided and I will definitely be visiting in the future if I need more formal attire, and I would recommend them to any future groom. We have received some Easy Weddings reviews on your business and we wanted to share them with you. Comments:“Fantastic service from the team at Just For Him. From the styling session to organising the tailoring, everything went smoothly for suiting up the boys. Comments: The team, were very helpful and the boys looked wonderful, they went the extra mile to ensure all the accessories were right and the boys suits fitted perfectly! Comments: Great serviced and good quality suits! Thanks to Lisa and the team for making our day very special. Comments: Always helpful, cost efficient, extremely friendly, great advise for the boys. These reviews are not published on our site as we have no advertisement to connect them with, however we thought you may be interested and we’ll continue to send reviews as they occur. We hope you find this feedback helpful to your business. I opted to use JFM for my wedding after two of my mates used Lisa’s styling expertise with great results for their own weddings, one of which I was best man for. I found the personal touch from Lisa and Des great and both of them very easy to deal with. They will happily spend their time to help you come up with a style, or give you options for a style you already have in mind, and the whole process feels a lot more personal than walking into an average formal wear store or a factory outlet. Minor issues with sizing and alterations were rectified quickly and with minimal fuss. We even had an emergency stop at the store on morning of the wedding to fix sizes on some hired vests, however thankfully Lisa had enough standby stock to ensure everyone had the correct fit in the end. On the day we had plenty of comments on how good the guys looked and the photos turned out great. I highly recommend Lisa’s styling abilities and the service from Des and all of the team at JFM, and thank them for making that stage of our planning as stress free as possible. We had no idea how to begin shopping for the boys outfits for our wedding day, and found Just For Him through a Google search, and were sure glad we did! Even though it a trek from our home in Menai it was well worth making that first appointment with Lisa and playing with outfits in their showroom to find what we liked. We discussed all things suits, vests, shoes, buttonholes… things we hadn’t thought about yet Lisa knew all about and offered us great advice. She took our ideas on board and helped us create a look for the boys that we both loved. JFH were available for us as we planned our wedding to answer all our questions big and small and I would recommend their services to anyone who is planning a wedding, they made that part of the planning really easy for us and with so much going on it was much appreciated! We just wanted to say a big thank you to you both for everything you did for us for our wedding. Thank you for helping us to create the look we wanted for our groomsmen, and for making us all feel so comfortable each time we visited. Your attention to detail is what made everything come together and we are so grateful to you both. We hope that all is going well in your new shop and hope to visit again soon. 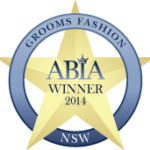 Everything from fitting, to the purchase of our suits were so easy and felt we were getting value for money. Lisa and her team did a great job presenting us with options in a relaxed atmosphere. My bridal party (4 boys) came in for fittings and were put at ease immediately. Overall a very positive experience, one that I would happily recommend and would go back and purchase additional suits for special occasions. We would definitely recommend Just For Him to our friends and family. Lisa and the team were lovely to deal with and very accommodating, even ordering in suits for us to look at. The advice that we received on the suits was fantastic and the suits looked great! Everything was so easy, from booking the first appointment through to picking up the suits and returning the hired ties and pocket squares. It’s the little extra’s that make the difference such as the pocket squares being pre-folded and the fast responses to emails. We have included a few pictures from the big day and you can tell from the pictures that all the suits were appropriately tailored. 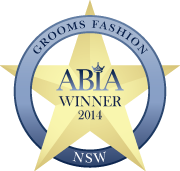 JFH provide the groom and groomsmen the same quality or service as a bride gets when picking her dress. I just wanted to drop a quick line of thanks for your help and great service in organising suits for my husband and his groomsmen for our June wedding. I have included some pictures, as promised. I’m sure you will agree with me that they all looked very handsome in their suits! James Bond got mentioned more than once! We would highly recommend JFH for not only your wedding party, but any suiting requirements. We found them incredibly helpful and knowledgeable and really operating within a niche in the market to ‘get the boys sorted’. From the beginning appointment where we could ‘style’ a combination of suits/ vests/ ties; the mid-way point where each suit was tailored to the perfect fit; all the way to the final collection point where not only was everything packed for the boys, but they knew what belonged to who and how to get themselves ‘scrubbed’ up. A fantastic experience and very competitively priced for the end result of a tailored suit you get to keep! Thanks JFH – you helped make our day perfect! We were both very impressed with our experience with Just For Him. If you are looking for an affordable yet stylish and quality option for formalwear, this is definitely the place to go. Lisa and Des were accommodating, friendly and professional from the beginning, and turned what we were both expecting to be yet another “wedding planning chore” into a fun and enjoyable experience. The fun, relaxed atmosphere they created made the occasion something to remember. Lisa is an expert in her field and had some great suggestions and tips to help the groom choose a suit and accessories that were stylish, well-fitted and complimented the bride’s dress perfectly. She also offered some helpful advice about colour choices for the mother and father of the bride to tie everything in, and it came together perfectly on the day. The suit is a classic style that can be dressed up or down and used again for a future occasion, which was a huge bonus too. Just sending this email on behalf of Mark & myself and our families to say thank you for all your assistant in making our wedding day truly magical! We were so fortunate to have some many amazing people who assisted us in make the day run smoothly! Our wedding was truly something out of a fairytale and everyone who attended enjoyed every moment (so we’ve heard from many, many phone calls)! So once again thank you so much for all you’ve done for us and here are a few pictures for you of us on our special day. Thank you so much for helping the boys look pretty darn handsome for our wedding day! They scrubbed up very well (no surprises there!). It has been an absolute pleasure having you share your expertise with choosing which suits for our lads. Definitely one aspect of organising our wedding where our minds were put at ease being in your very capable hands. We’re very happy that now Damien’s sister and her fiancé are now reaping the benefits of having you look after their suits too. To Lisa, Des and the team at Just for Him! It seems like our wedding day was so long ago now (last year! ), on the 28th of December. We really loved how the suits turned out and it looks amazing in the photos, especially Roland’s suit with the shine in it. Eric wanted to hold on to the rest of the suit hire haha, it was memorable to him! The lovely work you and your team have done for us are forever memorable in our hearts and through our pictures. Thank you again for your efforts. We are so happy to have you. Wishing you great success with your dear business. I just wanted to say thank you to you and your husband for all of your help in assisting/fitting myself & my Groomsmen with our suits and accessories for our wedding that took place on the 30th of November 2013. From our first consultation through to the collection of the suits, the level of service from you and your team was exceptionally high. I can see why you have a good name within the industry and for this you should be proud of your accomplishment. I have attached a few pictures from the day and again I really appreciate your help. would highly recommend JFH to anyone looking for suits for any occasion. We used Just For Him for our wedding in April 2012 and it made everything run smoothly, Having a large bridal party we were always concerned about managing everyone including one who lives interstate but Just for Him managed the whole thing. It meant we weren’t stressed, the boys could manage themselves, and both the groom and his groomsmen looked fabulous on the day. The suits vests and all accessories were to die for. We can’t recommend them enough! I would like to express my appreciation for your time, care and effort in the preparation of our wedding suits. The boys and I looked very sharp and matched the girls perfectly. The day was amazing and the photos looked spectacular! 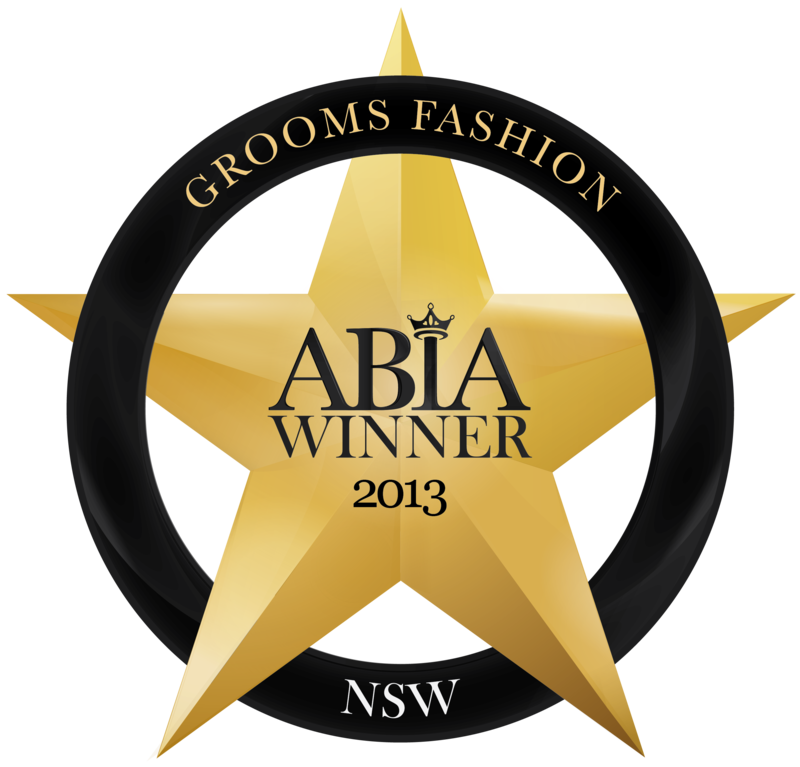 “We wanted to say a huge thank you for all the help you gave us in selecting the best suits for our wedding. The boys looked very handsome and couldn’t say enough about how easy the process was. The Grooms Styling experience was brilliant. In particular I liked the service from all staff and the ability to show different designs on the mannequin which saved the boys and I the hassle of having to try on every suit combination. Quality, Convenience, Service, Reliability and Fashion advice all in the one stop shop and all for great value! I recommend Just For Him to anyone who wants a quality experience. They made our day look perfect! Thank-you Lisa and all the wonderful staff at Just For Him. Just a little note to say thank you so much for all your help with the boys suits for our special day. They all looked fantastic!! You run a truly fantastic business, right from the first styling session all the way to the end. It was such a relief knowing we were being looked after by you. 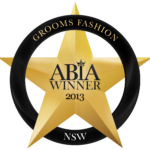 The boys were blown away by your customer service and so happy with their suits. We all thought they looked fantastic! “I met the staff of Just For Him at the Darling Harbor Wedding Expo. From the moment I met them, they were very professional, educating my wife and I about wedding suits and how it related to everything else in the wedding. e.g. having a tie the same colour tie for my groomsman as the same colour of the bridesmaids, very subtle, looked great. I checked out other places after I went for a fitting and could not find a place that made the process easy from beginning to end except Just for Him. What they really did well was to make the process of getting myself and my groomsmen into the right fitted suits easily. From start to finish they helped everyone look their best, an example was requesting my groomsman try on a singlet which reduced his jacket size by 2 or 3 sizes. Thank you so much for everything you did for us to make our wedding day extra special. Our day wouldn’t have been as amazing without all of your wonderful assistance. Hi Lisa, I am so sorry, I have been flat out since my Wedding and not able to thank you for your work and efforts in making me and my Groomsmen look a ‘Million’ bucks. You guys were fantastic and you will find a very positive review from me in the questionnaire. Your business deserves to win more awards and will hopefully flourish in the years to come. I really mean that too. If you want to look your very best on your special day then don’t go looking far, as Just for Him is your one stop shop for all your needs. The personalized service, reasonable prices, variety of goods, and an eye for style are everything you’ll find here. Lisa and Des have made our special day by making sure we were dressed well so we couldn’t thank them enough for their hard work and true dedication in helping us out. We felt we were dealt with at a personal level all the time and not just another customer walking in the door. The experience has truly been great. The variety of stuff you sell at a reasonable price also is amazing! You are one of a kind. A definite must and highly recommend! The service was top class. I wasn’t sure what I wanted and Lisa was very patient and not pushy. I bought 2 suits which fit very well and most importantly impressed my bride. I also hired accessories and there was no stress to return these too quickly. Thanks JFH. We heard about Just For Him at a wedding expo and followed up on it and were very glad we made this decision. The staff were very helpful and professional in the service and attention we received. This is a one stop shop for the men and suits fitted very well to the various sizes we had. Thank you for making our day easier when we had 6 men to dress for our wedding day! I really thought the customer service was great. You guys are open and approachable and know what you’re doing, so no issues with that. The flexibility of the opening hours is very helpful and the set up downstairs is great. Also love the idea of having a beer or coffee while down there, makes it very relaxed. Excellent, flexible service at a reasonable price that will have the groom and groomsmen looking great on the big day. A pity weddings are one off affairs, or I would use them again. As soon as I walked in the door, I knew I’d found the right place to fit me for my wedding. Lisa and the staff were very helpful from start to finish- I knew what I wanted to look like, but not the finer details or the little extras that made it all look really good. The staff really shine when it comes to measuring and fitting, as well as comparing materials, textures and colours. I always found the staff to be knowledgeable and efficient and importantly willing to say when something wasn’t quite right, rather than just say ‘yes’ to everything. My best man only needed to come in once for his fitting as we had chosen everything else beforehand, and the ability to layby both our suits meant I could just call by after work to pay them off . Hope you and the crew have a Merry Christmas and a Happy New Year. Lisa did such a fantastic job with our wedding party! We live in America but due to my wife’s family living in Sydney we decided to have our wedding there. We heard of Just For Him’s wedding services through a good friend of the family and decided to give it a try! Lisa arranged skype meetings with us, and we emailed back and forth to give measurements, style ideas etc. Lisa had a great vision and knew exactly what would look good on us. When we arrived in Sydney, we had a fitting and were AMAZED that every suit fit perfectly first try! The staff at Just For Him were so friendly and went out of their way to make sure that we looked our best on our big day. Thankyou so much Lisa, Des & the staff at Just For Him- we love our suits and have already recommended your service to people over here!!! Lisa and the ‘Just for Him’ team made choosing the suits for our wedding so easy. Even with two groomsmen coming from overseas, everything was ordered and fitted perfectly with no stress at all. We were so grateful for their flexible hours and expertise, and their personable natures made every appointment exciting and fun. So grateful that I met Lisa at a wedding expo, especially when I found out the price of a suit, was just a bit more then renting one. After my first consultation I was hooked and so was the “to be wife”. The quality of the suits was unquestionable and I loved the fact that it was a family orientated business, which is based on quality and service, even going the extra mile to import particular cufflinks without hesitation. The lay-by system they have in place was a great option and the suits were paid off in no time without ever realising a dent in your back account. Thanks to ‘Just For Him’, it made organising a suit so much easier and non-stressful. Thank you for the time and effort that you put into making sure that the boys looked great on the day! We really appreciated your attention to detail and the time that you put into our styling sessions and fittings. We had a large bridal party and understand that you put in a lot of time to organise fittings for all the boys and they looked great on the day! Lisa made us feel welcome from the moment we stepped into the store. The styling session was so relaxed and fun. They are very knowledgeable and listen to exactly what you are after. The suits are of a great quality and the boys looked fantastic on the day! The lay-by system made everything so much easier. Nothing was too hard for JFH – we had groomsmen who lived interstate and also o/s – but this was not an issue for them! They even sent the suit to NZ for the groomsmen to try on!! Such fantastic service! We have nothing to fault, and we would recommend JFH in a heartbeat to anyone! Thanks JFH!!! The staff at Just For Him were very helpful in selecting an outfit for my Groomsmen and I for my Wedding day. Not only were they knowledgeable in fashion but they listened to everyone’s particular taste and managed to find something that everybody was excited about. Customer service was second to none at Just For Him, couldn’t fault it in any way. I would highly recommend Just For Him to anybody looking for suits for any occasion due to their style, customer service and price. Thank you Just For Him for providing your service!! !